For many fountain pen users, choosing a high quality paper is just as important as choosing which pen and ink to use. If you’ve never given much thought to the paper you write on, hopefully this article introduces a whole new dimension to your writing. In this article, I’ll introduce some of the basic paper concepts, as well as make a few brand recommendations for the best paper for fountain pens. If you’re an American, you’ve probably heard of legal and letter paper sizes (and if you’re not an American, you can probably safely skip this section), but if you’re new to paper, you might find some of the different paper sizes a little confusing. For example, there’s A4, A5, B4 and B5. How do you know which is bigger and which will work best for writing? Well, here are some links that are a great reference for the A and B measurements. In the “A” link, you can also see how legal and letter sizes compare. Notice how the dimensions of each larger number are half the size of the smaller number. That means a sheet of A4 paper is equal to two sheets of A5 paper. While larger numbers mean smaller paper dimensions, as you go up in alphabet letter from A to B, the paper dimensions increase. That means a sheet of B5 paper is larger than A5 paper. Ultimately, the sizes you find the most often are A4 and A5. Most loose-leaf paper and notepads come in these sizes. While you can find some quality paper in letter size, the majority of the best paper for fountain pens will be either A4 or A5. Paper weight refers to it’s thickness. You might see a lot of different measurements for paper weight, including a measurement in pounds. Just look at this chart that shows how many different ways paper weight might be measured. As you might notice, if you see a paper weight that’s measured in pounds, it can be hard to tell how thick it actually is. In order to avoid any confusion, the most universal measurement is GSM (grams per square meter). Not coincidentally, you’ll find most quality paper is measured in GSM. If you use 8.5″x11″ copy paper, you’ll probably find the weights measured in pounds. On the chart I referenced, that is the Bond Weight. So, if you enjoy using the amazing HP 32lb Premium LaserJet paper, it has a 120gsm paper weight. Compare this to something like Tomoe River, which has a weight of 52gsm, and you can see how much variance in thickness there can be in between different types of quality writing paper. Let’s go ahead and talk now about paper quality. Of course, using quality paper will have the biggest impact on your writing experience. 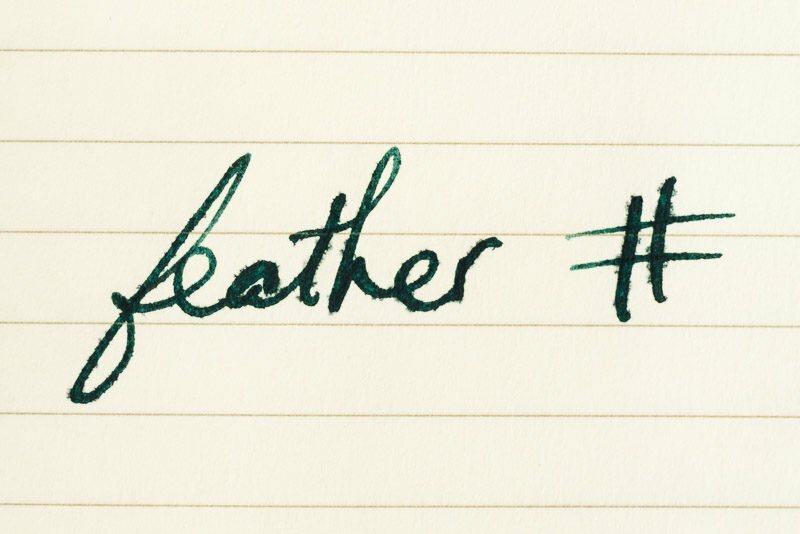 If you use paper that feathers and bleeds with fountain pen ink, your writing will not look very nice and could actually be difficult to read. If you use paper that your nib does not glide across smoothly without getting snagged, you won’t enjoy writing on it. There’s more to paper quality than just working well with fountain pens. You’ll also need to decide what qualities you want your writing and writing experience to have. Do you want to use a heavier weight of paper to lend a little more substance to your writing? Do you want a paper that accentuates your ink’s sheen? Do you want an ultra-smooth paper or one that offers a little feedback when you write? Another paper quality consideration is whether to use paper that is made out of wood pulp, cotton or a blend of the two. Paper with a cotton content is typically considered to be the most durable and archival, but not everyone prefers it. Unless you have specific needs for the archival quality of your paper, the choice between which type of paper you’ll like best entirely comes down to personal preference. The way you intend to use the paper will also make a difference. If you plan to write letters or use notepads or loose-leaf paper, you’ll have some different options than if you plan to write in a notebook or journal. Some quality notepad paper manufacturers, such as G. Lalo, don’t make bound notebooks or journals. Some notebook manufacturers, such as Leuchtturm1917, don’t make notepads. 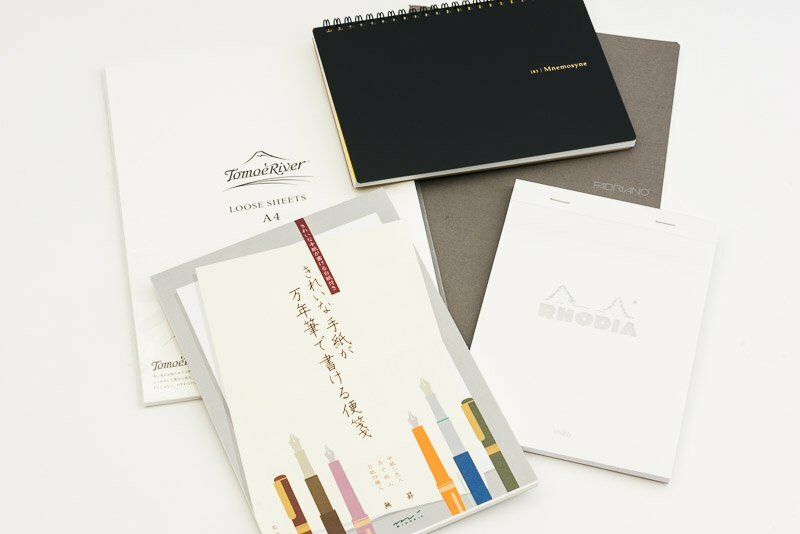 Some, such as Rhodia and Midori, make both notepads and notebooks. This is something to keep in mind if you go looking for products from your favorite paper company… they might not be available in every style you want. 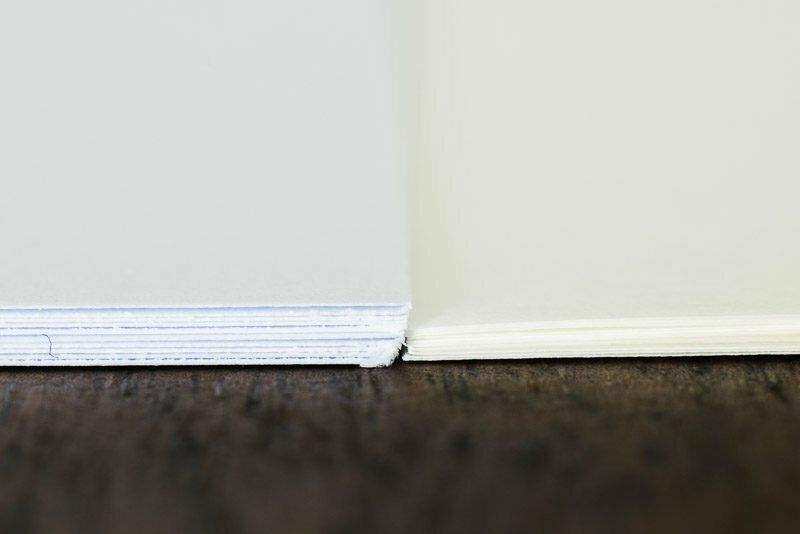 A notepad (left) has loose sheets of paper you can tear out. A journal (right) is like a book. The cost of the paper you choose can be a big factor. While you can easily buy an inexpensive spiral bound notebook or ream of 500 sheets of cheap copy paper without spending a lot of money, that paper is not something you’d want to use with your fountain pen. High-quality paper is going to cost you a bit of money. Of course, no where near what you’d expect to pay for a good fountain pen or even a bottle of ink, but you might be surprised at what paper can cost. One of the most popular papers amongst fountain pen users is Tomoe River. If you choose a pack of 50 sheets of their 68 gsm paper, you’ll pay about $0.37 per sheet. Compare that to a ream of basic copy paper where each sheet costs about $0.01. That is a significant difference in cost! Of course, this is an extreme example, but chances are you’ll be paying closer to Tomoe River prices than cheap copy paper prices for good paper. For journals and notepads, it’s the same story. A quality notepad might cost $5-$15, while a journal or planner can cost significantly more. If you think about it, it makes sense to spend the money on a high-quality journal or planner. These are items that you’ll be using every day, so having quality paper that leads to a good writing experience should be a high priority. – Midori Paper: Midori is probably my favorite overall paper. It has a good weight and feel, is smooth to write on but does offer a little bit of feedback, and shows shading and sheen very nicely. It also comes in both notebooks and loose-leaf paper. – Tomoe River 68gsm Paper: Tomoe River has attained an almost-legendary status amongst fountain pen users and I consider myself a fan as well. Not only is Tomoe River the paper king of sheen, it is also ultra-smooth and doesn’t bleed through. This is very surprising considering how thin it is. This thinness is also important to me since I’m able to use it to write to my pen pals who live in other countries without spending a lot of money on postage. I do prefer the slightly heavier 68gsm paper compared to the 52gsm paper, which I feel is just too thin to have an amazing writing experience. – Rhodia Paper: Rhodia is a wonderful all-around paper. It is high-quality, relatively inexpensive, easy to find and comes in pretty much any option you desire (notebooks, notepads, planners, journals). 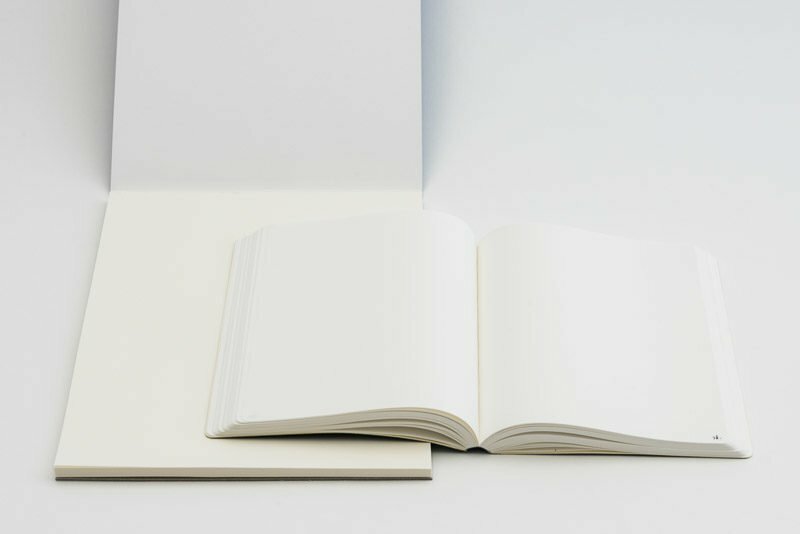 Interested in trying some of these papers before buying an entire notebook? Head over to my shop and pick up a paper sample pack. This is my first visit to your site after getting your email. I had a very good read through your “paper” article, I learned a few things and enjoyed the article. Thanks so much for stopping by and spending a bit of time here! Glad you found the article helpful and hope you enjoy future articles. What is the Japanese advert in your picture? I’ve seen it in the last few articles, and it looks really cool! Hi Francisco, it’s actually the cover of my Midori notepad (and was the main reason it caught my eye in the first place). Isn’t it great? Thanks for the article. I didn’t know about Midori. How is Rhodia paper with shimmering inks? You’re welcome! Rhodia works well with shimmering inks. It doesn’t show as much sheen as some other papers, but it shows shimmer just fine. Just wondering. What are the names of all the notepads and journals featured. Also what would your recommendation be for papers that best accentuate sheen? In the first image, there is loose-leaf Tomoe River, Mnemosyne spiral bound, Fabriano Eco-Qua, Rhodia notepad and Midori writing paper. The next images show a Taroko Enigma notebook and a pad of G. Lalo Verge de France. A few of the best papers to accentuate sheen are Tomoe River and Life Noble. What is your recommendation for inks on Tomoe River Paper? I would like one that lasts longer (letters that wil be kept for several years) and dries fast. You’re welcome, Gilberto. In my ink tests on Tomoe River paper, Noodler’s LIberty’s Elysium and Noodler’s 54th Massachusets both dried quickly and were very waterproof. I haven’t tried some of the other inks that are recommended for archival quality, so I can’t comment on their dry time. Hi, John. This is very helpful. I am new to fountain pens so I’m still experimenting to see what I like. (I’m using a Pilot pen with a medium nib). The first paper I purchased is Tomoe River. (Not sure which weight). I’m disappointed, but perhaps I’m looking for something different in a paper than most fountain pen users are. For me, the Tomoe River paper is too thin and “hard.” Here’s where I apparently want something different from most others: I think I’m looking for a softer, weightier paper that does a better job of “taking” the ink. I certainly don’t want the ink to bleed, but I prefer the paper to take the ink in a way that creates a slightly wider/thicker impression on the page than I’m experiencing with the Tomoe River. Honestly, I prefer the “feel” of my fountain pen and the impression it leaves on the page when I’m writing on a standard legal pad. With that paper I feel I can write more gracefully; with the Tomoe River I feel like my writing looks like chicken scratches. Do you have any suggestions for other papers I might try? Thanks much. Hi Kent. I’m glad you found it helpful! The Tomoe River paper is indeed thin and I know what you mean by it being “hard”. While it’s an amazing paper that shows off the properties of ink, it’s not the most enjoyable to write on. If you’re looking for a notebook, I’d suggest you try the Fabriano EcoQua. If you’re looking for a notepad, I’d suggest the Life Bank Paper. Neither of these has the very slick and hard feel that lots of the premium papers have, but they both handle ink very well and are a pleasure to write on. 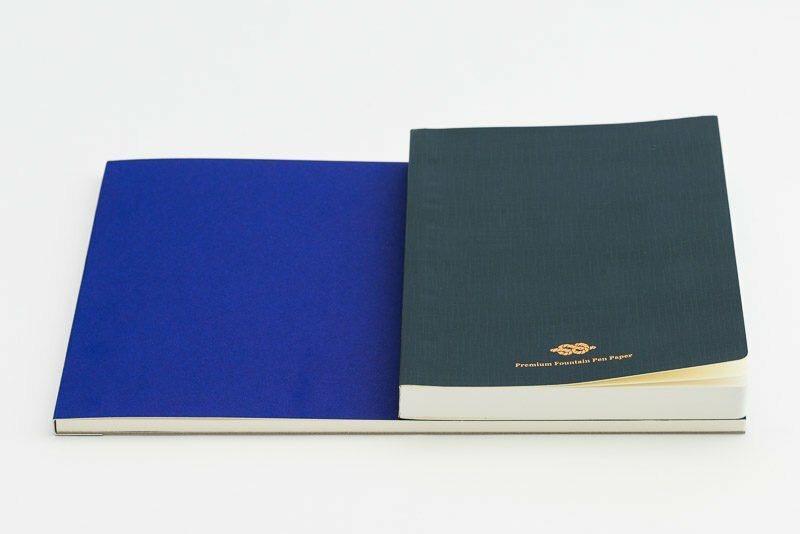 The Life Bank Paper is not the same as other Life papers, so if you buy a Life Noble Note notebook, while it is some of the best paper around, it is not the same paper as the Bank Paper. I was wondering if you have any suggestions for an inexpensive loose or tablet paper that I can use JUST for practicing my handwriting skills. Archival not needed, I just need something that has a good feel for my medium nib Lamy Safari fountain pen, one that won’t break the bank. I would suggest you pick up a ream of the HP 32lb Premium LaserJet paper (which can be purchased online for around $13 or in retail stores for under $20). It is very fountain pen friendly and is a joy to write on with most nibs. One ream (500 sheets) should last you a very long time, especially considering it is thick enough you can use both sides of a sheet. Rhodia is too shiny for me. It is like it rejects the ink. Midori is fine. I have a light yellow notebook and I would like to also try a white one. Leichturm is dull. No reason to say why, but it does not impressed me at all. From all these papers I love TR the most. I only have to get used to not press the fp/nib too hard. Just let the pen fly over the paper and I get the most amassing results. The colors are fantastic, there is no feather effect, a pure pleasure to write on it. Dan, that’s interesting about Rhodia. I’ve heard a few other people say the same thing, but have never experienced it myself. TR is definitely a wonderful paper to write on, especially when you can let you pen glide across the surface and not worry about the thickness of the paper. HI John, Fellow Coloradan here wondering if there is anyplace on the Front Range you can recommend to visit to try papers first-hand. Hi Steve, good question. There aren’t many places around here that have a great selection of fountain pen friendly paper. In the Denver area, Meinenger has a decent selection of paper, but I don’t know that you can actually try out much of it. I’ve heard Two Hands Paperie in Boulder has quite a bit, but haven’t been up there in years. Other than that, I don’t have any other recommendations. You are most welcome, Pino. Thanks for reading! It’s funny how those two things go together, isn’t it? Glad you found it helpful!